Go birdwatching with a Birdingpal from Pennsylvania. I've birded in most of Pennsylvania (as of Nov 2012, have recorded birds in 55/67 counties with a state list of 271.) Currently living between Altoona and State College, happy to offer recommendations or meet up to go birding! Highlights include Canoe Creek State Park which has many different types of habitats in a small space, including woodlands, Riparian forest, grasslands, transitional zones and also Canoe Lake. There are opportunities to see many species of warblers, including less common Riparian species such as the Black-throated Blue Warbler and Cerulean Warbler. Canoe Creek is also home to the endangered Indiana bat. Also close by is Raystown Lake which has a resident breeding Bald Eagle population that can commonly be seen. I have lived in Pennsylvania my whole life and have seen a lot of its bird species. I currently live in Williamsburg, PA, home to the Lower (rhymes with "power") Trail, a great biking/walking trail that runs along the Juniata River and includes many different bird species as well. Semi-retired. Have house in borough with a small field next door attracting birds and butterflies. Have a cabin in the Poconos on lake in woodland. I live in south-central Pa. in the Appalachian Mountain Ridge and Valley region. Good nesting wood warbler habitat and strong spring/fall migration follow the mountain ridges. Hawk watches nearby. I have been birding 35 years. I have only recently arrived back into this area and need to reintroduce myself to the birds and the hotspots. I consider myself a casual but focused birder and can't wait to reintroduce myself to all the awesome species PA has to offer. I will always try my best to be available for any visitors. If I can't get you there personally I will do my best to direct you where to go. I feed the bird and I have a lot of different kind all year around. Although I am a professional guide throughout the western hemisphere, when I am in my home state of PA I love to have any excuse to get out birding for fun! Eastern PA offers many great birding hotspots, especially in Spring and Fall. We are close to many different habitats for a wonderful variety of migrating and breeding warblers and migrating hawks as well as great scenery for photography! I have been birding since very young and teach a beginning birding class twice/year. 30 years of birding experience. I am not only very familiar with bird finding in PA but also for most of the eastern USA. 250 species can be found annually within 1 hour of my home to include 25 breeding warbler species. I am avilable most days (if free) for at least a morning of birding. Often weekdays are best. At times, I am able to devote an entire day to helping you find your target species. I am casual birder, who enjoys going out and enjoying a day on the trail and finding new life birds. Live on the outskirts of Philadelphia. Have been birding for 28 years now throughout the tri-state area. My time is limited to get out with a full house of kids but would be happy to get out if possible or even provide detailed information. I live in Cape May, NJ part of the year. I volunteer for the Audubon Society and am a member of Lancaster Bird Club of PA. I have been birding for about 25 years and am stilll learning! Amateur birder. Semi-retired professor of languages. Familiar with birding spots in Philadelphia, South Jersey and Delaware. Several Sate and Federal Parks nearby. Good migration between September and November; I've done birding in Western and Eastern Europe; North America (Canada, USA. Mexico). 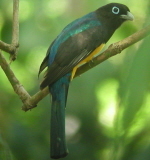 South America (Ecuador and Colombia); Costa Rica extensively; and Japan. I live in Philadelphia and bird quite a lot in South New Jersey too. Great birding anytime of year! All hot spots in Delaware River Valley known. Banding spring, summer and fall. My partner Bull and I are somewhat new to birding but can definitely direct you to many of the local birding spots around Philadelphia and South Jersey. 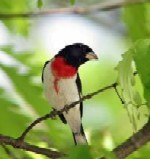 We live very close to John Heinz NWR which is a great birding spot all year round. From our house it is a two hour drive to Cape May, home of the Cape May Bird Observatory. We live in West Philadelphia and often go out birding on weekends. I am a photographer and Bull is a produce buyer at a food co-op. Many areas of interest, including rivers, state parks, many ponds/waterways, grasslands/farmland...all assortment of local and migratory birds. I've been birding since I was 14 years old (35 now). I live just north of Pittsburgh, but have birded in 28 of the lower 48 states. I guide professionally for Audubon Society of Western PA. My degrees in Ornithology led me to the field research arena (currently a director at Audubon), but my passion is sharing birds with other people. I prefer to stay within western PA, but can lead throughout the state. My schedule is a bit hit or miss with two children at home. I'm retired, have been birding seriously for about 25 years and have birded in all 50 states & six provinces. Here in Venango County we have about 30 species of warblers during Spring migration and about 20 species nest here. Shorebird habitat is our weak suit but over the last 25 years 267 species have been recorded in the county. You may know me from nemesisbird.com. Most of the time I am out birding, when I should be studying. My favorite group of birds are the birds of prey, which I love studying and photographing. I am able to guide birders around PA.
Hello! I am an avid birder who loves to share my knowledge with others. I have worked as an interpretive naturalist at the Cape May, NJ Hawk Watch for two fall seasons, was the counter/interpreter for the Montclair, NJ Hawk Watch, and have worked field jobs involving both songbirds and raptors. Black Moshannon State Park (IBA), Scotia Barrens (IBA), Bald Eagle State Park, Bear Meadows Natural Area, Tussey Mountain Hawkwatch (limited season) and many other local birding spots. Winter is always exciting with waterfowl that either spend the season here or simply stop over for a few days. Early spring gets pretty exciting in the first two weeks of March when Golden Eagles migrate past the Tussey Mountain Hawkwatch. It is possible to see as many as 50+ Goldens pass overhead on a peak day during this time period, along with up to 15 other species of raptors. My area 30 miles west of Philadelphia is especially friendly for warblers during the May migration. Nearby five "blue birds" can readily be seen in June: Eastern Bluebird, Blue Jay, Indigo Bunting, Blue Grosbeak, and Tree Swallow. During the summer months, Blue Grosbeaks can be seen nesting at Longwood Gardens, a botanical garden close to Delaware. I'm originally from O'ahu, Hawaii and I've been birding the Hawaiian Islands 1983-2005. I've been living and birding in New Hampshire but moved to West Chester, Pennsylvania. I have a nature-bird oriented talk show Saturday mornings on WEEU in Reading, PA and have been birding for over 40 years.